Larry works in an Albuquerque nursing home and like many of its residents he is not thrilled to be at this last-stop warehouse for old folks. Trained as a counselor, he hardly notices the human spirit flowing around him until he meets Bill Foster. Bill, a successful clinical psychologist, is lying comatose after a left hemisphere stroke, as Philip Cook, one of his oldest patients, leans over the hospital bed listening intently to his inarticulate attempts to speak. Through Philip’s uncanny understanding of Bill’s incoherent mutterings, an unlikely collaboration begins, linking the unconfident Larry with the experienced but speech-damaged Dr. Bill. That summer, with Larry’s wife and son out of town, Bill’s counseling practice helps renew Larry confidence as a therapist and--at the nursing home—he starts to see residents, families, and fellow staff as fellow human beings. But old traumas (the drowning death of his brother and his misplaced blame of his father) run deep: each step seems to open the door for further falls from grace. This is a novel about disability and the human depth that is left behind after the loss of physical and cognitive faculties. It is also a book about the power of forgiveness. At eight-fifteen on a Monday morning, fifteen minutes late yet again, Larry Whitton pushed open the front doors of Rio Grande Manor nursing home and stepped inside. There wasn't much good to say about his two years working at Rio Grande, but at least it got him out of the stifling New Mexico heat this first day of July. And today, anything that let him forget his own problems for a while was definitely a good thing. Inside the two sets of double doors common to many Albuquerque nursing homes, he turned to the right around the reception counter and relaxed slightly when he saw that Rita Simpson's door, at the end of the first short corridor, was closed. He then turned left and walked down the long hallway towards the Skilled Unit nurses' station. He walked quickly, all too aware that he needed to drop his briefcase and lunch bag off in his tiny office before Rita could spot him. Aromas of urine and cleaning compounds mingled in the atmosphere that greeted him. Lately he had come to relive these smells in his dreams. He moved to the left side of the hallway to get around Mrs. Raymond's manual wheelchair―parked dead-center in the grey corridor― before she could reach out and grab his hand. He needed to avoid anything that would proclaim his tardiness to the world. Seeing Larry, Mrs. Raymond delivered her constant lament, "Help me. Why doesn't someone help me?" Blue housecoat and matching booties her one and only wardrobe choice, Mrs. Raymond was one of those residents who could absorb an hour of your time and not remember who you were five minutes later. Larry, wrinkling his nose, promised to be back, knowing that, whether he returned or not, she would not remember him. As he passed the open doorway into Mrs. Tartaglia's room, he noticed a green plastic-covered mattress leaning against the wall and Carmen, one of his favorite aides, standing beside it. He stopped, backed up, and tried not to jump to any conclusion. Maybe the old lady just moved down the hall, he told himself. He was about to step into the room and ask Carmen to clarify the situation when, from inside, Rita Simpson's voice, barking as usual, halted him in his tracks. "That's not my concern, Carmen. Just have this room cleaned, aired, and made up by ten o'clock if you want to go on working here." He winced. Rita had been the administrator of this nursing home for less than a year, about half the time that Larry had worked here, but it felt like ten years in the Gulag to him. He had seen her fraternizing in resident rooms in only two opposing situations. One was showing the families of potential residents around the facility at which time, all smiles, she would talk about the excellent food, caring staff, and newly installed high-definition TV's. The other was hurriedly removing all traces that a fellow human being had inconsiderately passed on, in order to prepare the vacated room for her next bout of affability. In between those two scenarios, Rita roved the halls finding fault with staff and residents alike. For reasons not entirely clear to Larry, he had somehow attracted her special contempt. Her presence in a resident room made it all too likely that Mrs. Tartaglia had just been launched onward and upward. Torn between anger and sadness, Larry knew that there had been a time when he would have walked boldly into that room, voicing his concern without hesitation. But now Larry continued down the hall. As he passed the nurses' station, he called out, in a voice that sounded superficial even to his own ears, "Good morning, ladies. Mrs. Raymond, dressed in matching blue this morning, needs a pit stop." The nurse on duty nodded but didn't look up from her clipboard. He went on into the large community room, where several residents were watching TV or staring into space, and saw that Mrs. Wagner was gesturing for him to come over. Frail and nervous, like a small-boned, elegant bird, Mrs. Wagner always had the same lament―the taxi driver had stopped to use a restroom and then had driven away without her. Six years ago, according to her chart. He waved to Mrs. Wagner―feeling a twinge of sadness for the perverse tenacity of her long-term memory―and reached for his keys. But the door to his office was already open. Irritated, he flung his briefcase onto the chair. A sheet of paper, conspicuously placed on the desktop he had left clean Friday afternoon, announced that Rita wanted to see him immediately. What the hell did that excuse for a human being want now? Was he turning the cage too slowly at Wednesday afternoon bingo? Then another, more welcome, thought hit him. Maybe she had approved his application and wanted to tell him that she had chosen him to be the new director of Social Services. On his way out of his hole-in-the-wall, he almost ran into Father Cook, whose ample frame leaned heavily on a walker. At six foot three, Larry towered over him by most of a foot, while the priest had thirty pounds on him. Larry muttered, "Give me ten minutes, Father," and tried to get past him before a conversation could develop. He felt badly about putting off the gregarious Father Cook, but the issue of his promotion would prey on his mind until he talked to Rita. If he could go home tonight with some good news, perhaps everything else in his life could be revived also. But Larry cringed as he remembered snapping at his wife over breakfast that morning. All Julie had said was, "Danny and I would love to go out to a restaurant and bowling some evening." He recognized now that Julie was not really complaining about his present salary, even though any entertainment was always at the expense of something else in their tight budget. The deeper problem was that he was sleep-walking through his days, a prisoner of circumstances that he no longer considered himself capable of changing. "Larry. I'm glad I caught you," Father Cook said, beginning the slow process of turning around in the hallway. Knowing that he could not avoid some kind of interaction, Larry remained in his office doorway while the disabled priest completed his slow pirouette. "I'm worried about my roommate. Dennis hardly gets out of bed anymore," the father said. "I was hoping you could visit him." "I'll talk to Dennis later this morning," Larry promised, getting a visual of the young man who had moved in six months before. Then, cutting the conversation short, he continued on toward Mrs. Tartaglia's room in case Rita was still there eradicating all signs of prior human occupancy. He was passing the nurses' station when Carmen came around the corner and grabbed his arm. "Mr. Larry, did you hear? Señora Tartaglia died last night." A bare mattress is a bare mattress is a bare mattress. "I want to go to her Mass this afternoon, but Señora Simpson says I'm too busy." Larry knew how close Carmen had been to Mrs. Tartaglia and his jaw hardened, but before he could respond Señora Simpson herself was suddenly on top of them, her pale eyes glowering up at him. "I see you finally made it in, Mr. Whitton," she said. "I need to talk with you in my office immediately." "I need to speak with you too," Larry managed, as Rita spun around and charged down the hall toward her office. With her close-cropped blond curls and compact body, she reminded Larry of a yappy in-bred poodle. The kind that draws blood when they snap at you. He continued in her wake, seething with resentment toward her but even more angry with himself for allowing her to get to him. Rita was already seated at her desk when Larry caught up and entered her office. "We have a new staff member," she told him, before he had a chance to close the door. "I'll be announcing it tomorrow at the staff meeting, but it affects you in particular." "I've been meaning to ask you about my application for the director position," he blurted out. Rita looked at him blankly. "What are you talking about?" Larry leaned forward and launched into his well-rehearsed speech. "I haven't heard back about the Social Services director position I applied for last month, and I'd like to know if I'm still in the running." "You applied? Rita said, apparently caught off guard. Then, quickly returning to her snappy indifference, she continued. "You aren't qualified. The new director I hired has an LMSW." "I'm a Licensed Master of Social Work!" He managed to get out, as it slowly sunk in that his dream of getting a decently paid job had died at the starting gate. For a brief moment, Rita appeared genuinely amazed, and Larry, hardly able to breathe, stammered, "You mean I've been waiting for three weeks and you didn't even know that I applied! And you've never known that I'm an LMSW?" "You'll be reporting to Ms. Hildie Gallegos, our new Social Services director," Rita replied, as if she hadn't heard a word of what Larry had said. Then, with an icy smile, she added, "Look on the bright side, Mr. Whitton. Now you'll have two bosses to mock at staff meetings." Larry stood up shakily, walked to the door, and stepped out into the corridor. Taking each step deliberately, he made it back to his office. Once inside his own little space, he closed the door and switched off the light. The memory that invaded Larry's mind was not from a morning half a year ago, when--with incredibly poor timing--he had imitated a dog walking on two legs and talking in a shrill voice about staff time squandered on bingo for residents. The memory that lay there now, like undigested food, was of Julie crossing their front yard that morning. Her silence at breakfast had not boded well, and, as she approached the Honda, its engine already running, her deliberate steps told him that some long-suppressed message was about to be delivered. "Our marriage isn't working," she had announced. Then she had turned on her heel and run back into the house. Perhaps he should have returned to the house right then and talked it out a bit. Rubbed her shoulders, promised that things were about to turn around. But he had barely found the strength to back the car out of the driveway and get to work a mere fifteen minutes late. A knock on his office door brought Larry back to the small, darkened room where he sat with his eyes closed. He stood up, switched on the light, and squinted in the sudden glare. He was about to open the door when another memory came back to him, of something Julie had said to him about a year ago. "You need to forgive your father. If you don't, you'll end up just like him." Really? How exactly did coming home every night after a miserable day at work resemble bailing from your son's life when he's seven years old--as his own father had? Larry swung open the door and saw Father Cook--now seated in his wheelchair and no longer wearing the prosthetic limb on his left leg stump--blocking the way. "Have you visited Dennis yet?" the priest asked. Larry was about to beg off when the words froze deep in his throat. Julie was right. He was turning into his father, always running away from intimacy and the pain that came with it. "Let's go look for Dennis," he heard himself say. Father Cook turned his chair around and wheeled off down the corridor in the direction of the room he and Dennis Simmons had shared for the past two months. His arms were strong and he could roll himself around the nursing home most days. Although in the wake of the massive heart attack that had sent him to Rio Grande years before Larry's arrival, the priest's amputated leg was monitored closely by the medical team. At least he's not losing ground every day like Dennis, Larry realized. Glancing back at the north nurses' station, Larry saw Rita bent over a chart, her head jutted forward as if she was about to bite the folder and shake it side to side. A resolution formed in his mind. He would find a new job, become a better husband and father, and get his life back. They found Dennis up and in his wheelchair. Or rather, they found him slumped over in his chair, looking uncomfortable and exhausted. Dennis struggled to sit up straighter as they entered the room, but his whole body trembled with the effort, and then he still looked off-balance. It passed through Larry's mind that Dennis would not be able to use his lightweight manual chair much longer. Hadn't he been using a walker when he arrived at Rio Grande Manor a few days into the New Year? Since then his multiple sclerosis had progressed with devastating speed. "Larry's here to see you," Father Cook announced in an enthusiastic voice. Larry couldn't help noticing that Dennis didn't seem to share this enthusiasm. In fact, Dennis's face remained averted, as if he had resolved to deny reality by ignoring it. Larry felt a surge of empathy. Dennis was probably, like Larry, in his thirties, and here he was forced to end his days in a nursing home. He wondered if Dennis had a family from which his progressive MS--as was so often the case--had banished him. Voicing this thought, Larry turned to Dennis and said, "Where did you live before coming to Rio Grande Manor, Dennis?" Even if Dennis had been willing to answer this question, he didn't have the chance. Rita appeared in the doorway and, without so much as a glance toward Dennis or Father Cook, said, "I need you to write a job description for your new boss. And I need it on my desk before the end of the day!" Then she vanished into the hallway. He was glaring at the empty doorway with loathing when, out of the corner of his eye, he caught a movement from Dennis's chair. He turned just in time to see that Dennis had slid precipitously to one side and that the armrest was gouging him in the ribs. Larry quickly moved behind the wheelchair and pulled Dennis up. Here it was scarcely mid-morning, and Dennis couldn't stay upright in his chair. Father Cook must have been thinking the same thing because he said, "Dennis needs to lie down." Larry nodded, adjusted Dennis's foot, which was ready to slip off the foot rest, and promised to visit later. On his way out, he pushed the call light beside Dennis's bed, so that aides trained to transfer residents could come and put him in bed. Part of him felt like ignoring Rita's request to write up a job description, but then he decided that it was probably one of the few things he could manage right now. He went back to his cubicle and typed out a couple of pages about the Activities Coordinator position for which two years of study and his LMSW had prepared him to be overqualified. Around two that afternoon, he taped a note to his door that he was out sick, dropped his job description off at the front desk for Rita, and left the building. Tomorrow he would throw himself into the task of trying to help residents remain active and involved in their sad lives, which for many had turned south the moment they had walked, or been pushed, through the doors of Rio Grande Manor--lives that for some would include no further ventures into the world until the day they left with a sheet pulled over their faces. But that would be tomorrow. Today he needed to plot his escape from this Gulag and its Commandant. In no hurry to tell Julie the bad news about the non-existent promotion for which they both had hoped, Larry stopped at Einstein Bagels, picked up a coffee and newspaper, and for the first time in over a year turned to the want ads. Thirty minutes later, his third cup of coffee turning sour in his stomach, he got up and stuffed the newspaper into a trash can. Nothing. Maybe he'd try Googling jobs that evening, if he could muster the energy. He drove home and found Julie in the living room reading from a picture book to their five-year-old son. Danny seemed interested and focused, something that they hadn't been able to count on in recent months. Julie looked up, surprised to see him home so early. She still seemed beautiful to him after all these years, her light brown hair swept back from her strong, tanned face. Not knowing what else to do, he sat down on the armchair beside the couch and told her about his disastrous meeting with Rita. When he had finished, he had trouble keeping eye contact with her. It had taken Larry a year to find work after getting his social work degree, and they both knew that quitting Rio Grande Manor without a new job lined up was inviting disaster. Danny sat quietly, looking from one to the other. Finally Julie spoke. "Maybe it's time to look for a different job, Larry. Who was that guy who said you should be a counselor? You went to Highlands with him." "Isn't he in private practice here in town? And didn't he tell you that you had the capacity to be a great therapist?" Larry sighed and shrugged. What did Sammy Sanchez have to do with them? So he had studied with a classmate whose life was dazzlingly successful. Was Julie trying to rub salt into his wounds? Why mention Sammy now, in this moment of deep humiliation? Julie stood up, and said, "Call him." Then, with Danny, already tall for his five years, two steps behind, she went outside. Larry followed Julie and Danny as far as the back patio, and watched them pick weeds from among the tomato plants and patches of basil. A sudden gust of wind sent a cloud of sand from the neighbor's yard over the cinder-block wall. Larry closed his eyes. It had been humiliating looking for work last time, but now something even worse had slithered into his life. His family wasn't going to survive if he didn't change something. Julie was right. Another summer at Rio Grande Manor nursing home, coming home every night angry and resentful, and he would turn into the kind of husband and father his own father had been. But how could he call Sammy? How could he consider, for a single instant, risking the life of someone who would come to him, in pain and confusion, looking for counsel and help? One innocent life down the drain, as had happened in his second year of graduate school, was already one too many. The memory of that loss was still too vivid. He heard Danny ask Julie if something was a weed, but Larry kept his eyes closed and went back twenty-four years in time to the day his father had returned from a canoe trip, alone. Timmy, Larry's older brother, only nine years old, had just drowned. A month later his dad had moved out, and from that day on his mother had never once hugged him. If she looked at him at all, her eyes said, "Why couldn't Timmy have survived? He was the one I loved." Sometimes Julie acted as if she thought she needed to rescue Danny from Larry. Some evenings Larry would get a reflection of how deeply immersed he was in his own private depression when Julie would suddenly take Danny and leave the house. Larry worried about his black moods. Recently Danny had developed some distressing habits--staring into space and responding very slowly to questions. But surely Danny knew that both his parents loved him. It wasn't like Danny's dad had walked out on him and his mom couldn't bear to look at him. Meanwhile Julie's parents--who made no attempt to hide their disapproval of Larry--were waiting in the wings, ready to rescue their daughter and their grandson. Not for the first time, Larry wondered if Danny might actually be better off without him. He felt small hands tugging at his pants, and his son's voice asking, "Why are you home so early today, Daddy?" Larry, his eyes stinging, bent down and lifted Danny into his arms. After supper, while Julie was reading a bedtime story to Danny, Larry made the dreaded call. Relieved when Sammy's answering machine picked up, he blurted out something about working as a counselor. But later that evening, when Julie asked him if he had said he was looking for work, Larry couldn't remember if he had actually said so out loud. 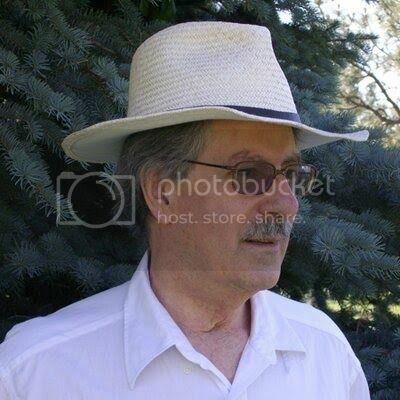 Before coming to Albuquerque, New Mexico, where he now reside with his wife and two sons, Michael Gray lived in Montreal, Canada and published short stories and poetry in the Antigonish and Wascana Reviews. He traveled in Europe for six months and South America for three months, but it was while working on farms, ranches, and an open-pit copper mine in Canada that he heard a door into the future creak open. Michael’s memoir, The Flying Caterpillar (ABQ Press, 2012), as well as being a travel log of his life to-date, gives an account of his two decades with Friends in Time and explores the teachings and encounters which have proved to be valuable for a lifetime. In 2012, he also published Asleep at the Wheel of Time (ABQ Press), a SF novel about Whales, Aliens and humans. Both these books express his concern about the state of planet Earth in light of our accumulating indifference to the plight of our only home. 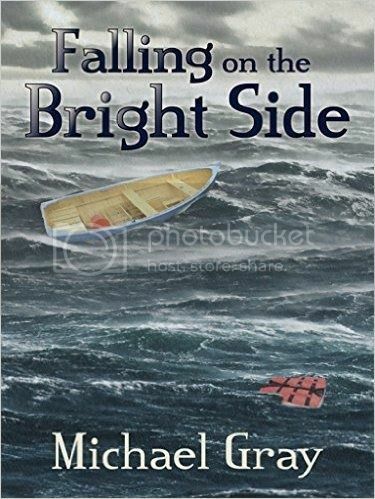 Michael’s newest novel, Falling on the Bright Side draws directly on his experience working with the disabled (For more than five years he’s also been President and sometimes ED of Pathways Academy, a school for kids with Autism and other learning issues). Falling tells the story of people who have been shelved in nursing home warehouses, or have otherwise lost their livelihood and value to society, and the narrative arc explores how the human dimension continues to shine in these human beings. In his own life Michael has discovered that people who are in the process of losing their identities, occupations, and old friends are able to help him recognize a deeper truth about the human predicaments they share. This is a human truth which he also finds celebrated in Eastern spiritual teachings. Encountering the core of humanity in people whose familiar lives have dissolved, he seeks to learn their secret while he still has time on my side. About disability and the human depth that is left behind after the loss of physical and cognitive faculties. It is also a book about the power of forgiveness. Love the cover looks so cool.